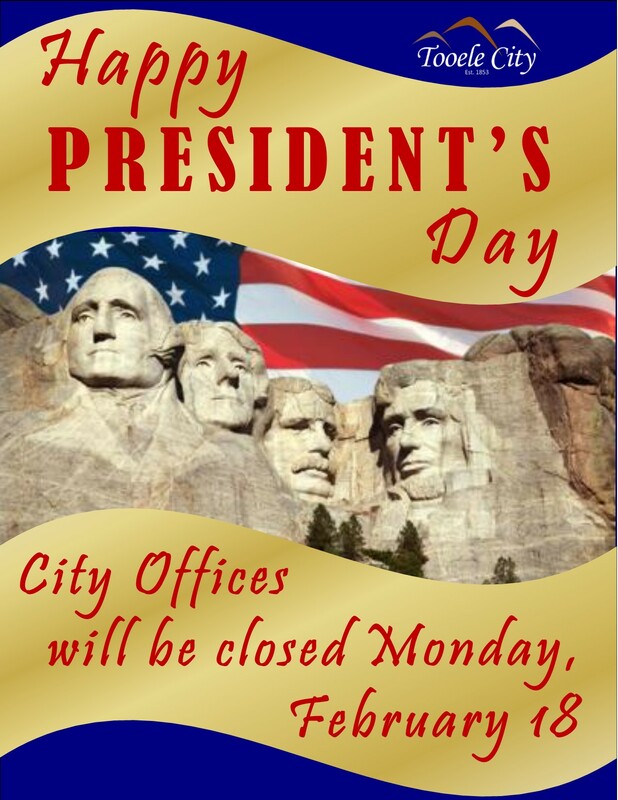 Tooele City would like to wish everyone a happy and safe President’s Day. Tooele City Offices will be closed for the holiday. Trash will be picked up on this day. Garbage collection is scheduled for regular pickup services. If you have questions, please call 435.843.2150.